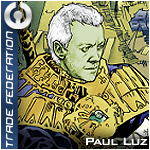 The Trade Federation House System is a prime example of the integration of old Avancian culture into the Federation way of life. The Avance Coalition was a confederacy of different noble and lesser Houses, with each House being responsible for the local governance of smaller commonwealths which filled the Avancian sectors. House leaders were organized in a Hall of Houses, which constituted the Avancian government, and the First and Second Seat were chosen from the noble houses. Over time each House had developed its own rich culture and ethos. 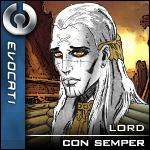 This harmonious diversity promoted unity and cooperation and served to make the Avancian economy one of the strongest in the galaxy. Naturally, leaders of both parties saw the stable integration of the Houses into the Federation as key for the success of the merge, both functionally and symbolically. While one of the noble Houses seceded from the Coalition upon hearing of the merge, forming the Kingdom of Elyssia, a majority of the Houses were given new life in this new government. 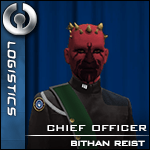 Each house is still responsible for the local governing of a home system, which they are tasked for developing into unique cultural havens showcasing the Federation's own rich diversity of life. Additionally, each House is affiliated with a department of the Federation with which to cooperate in expanding the culture and ethos of the department as a whole. Houses are monitored by an oversight committee made up of leaders from both the Federation and the old Coalition, and the system has expanded to include many new Houses original to the Federation. House Systkin is family. House Systkin has been built on the foundation of respect for all people that are considered family, as %u2018systkin%u2019 means Family, and for all life surrounding our home. Based on some of the aspects of the former House Vigihan, House Systkin was built for members to share advice, profits, and assist each other in personal growth in all aspects of life. House members share openly without retribution, and we all work together to make the Trade Federation a better place. When one member falters, we help to build him up. When one member finds success, we all share in her joy. We are one Syskin; Systkin is family. 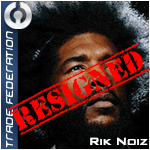 Any Federation Citizen may apply. Citizens will be evaluated on a case-by-case basis. 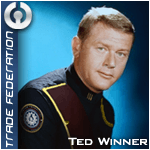 House Jade is the extended family for the miners, builders, and transport pilots of the Federation. After a hard day of knocking down old buildings, digging up veins of ore, building gleaming new cities, and generally serving as the backbone of government operations in TF space, all that a pilot really needs is good friends, good brews, and good (albeit rather tall) tales of the day's adventures. While our spiritual foundation will always be in Bob's Bar in Fort Esco on Taanab, home is wherever we happen to be flying. House Jade is for people who pass out every night with the knowledge that no job is too large or too small to handle...with style. 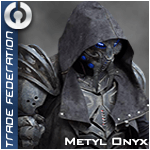 Federation members must be ranked O-1 or higher to apply. Citizens will be evaluated on a case-by-case basis. House Arkoh is founded around the Semper Family. As some of the only members of Arkanian society in the wider galaxy, it is their strongest desire to bring their people back to galactic prominence through the use of genetic engineering and cloning. Founded on Arkania during the rule of the Sith, the House is still to this day strongly influenced by ancient Sith culture, primarily through it's caste system. House Esco places Honor first above all other virtues, and demonstrates this by the actions and loyalty to the Trade Federation of its members. 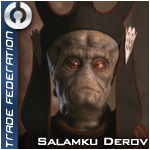 Honor is paramount to the House, and members are chosen based primarily on that quality along with their adherence to the Trade Federation. 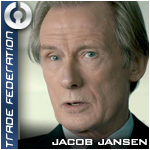 Built on the foundations of the Trade Federation, House Esco serves as a conclave of those who hold the Trade Federation above themselves and act first to preserve the Trade Federation, and others who have presented a willingness to do the same. Members of House Esco work closely together to develop themselves and their abilities, united by the knowledge that collaboration and support from one another serve to strengthen themselves, the House, and the Trade Federation. House membership is restricted to invite only. However interested applicants can message the house leader to inquire about membership.